※There is also an English version. Take a look. ───Till, many rumours have been swirling around over the last few weeks and months. 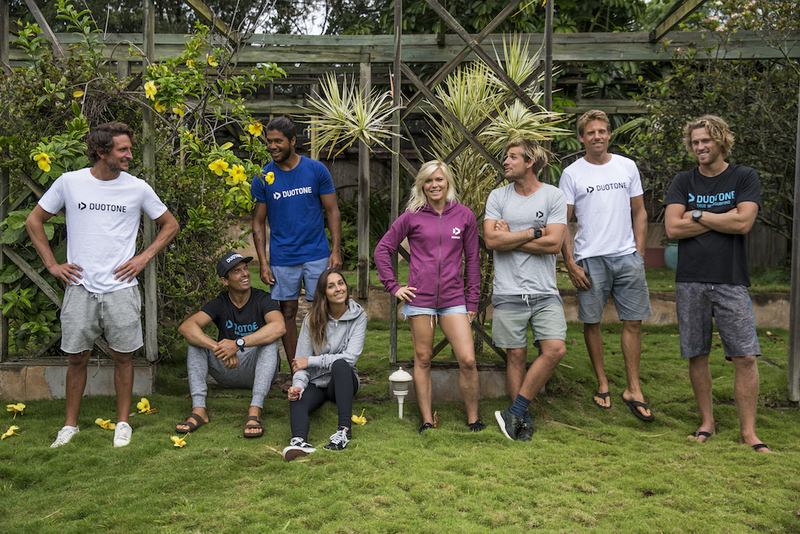 Is it true that Boards & More is bringing a new brand to the Windsurf market? ───What does the new Duotone brand stand for? Duotone represents authenticity ─ being true ─ both in windsurfing and in kiteboarding. We will continue to offer high-quality products for all disciplines and will push forward as leaders in technology for the sports that we love. 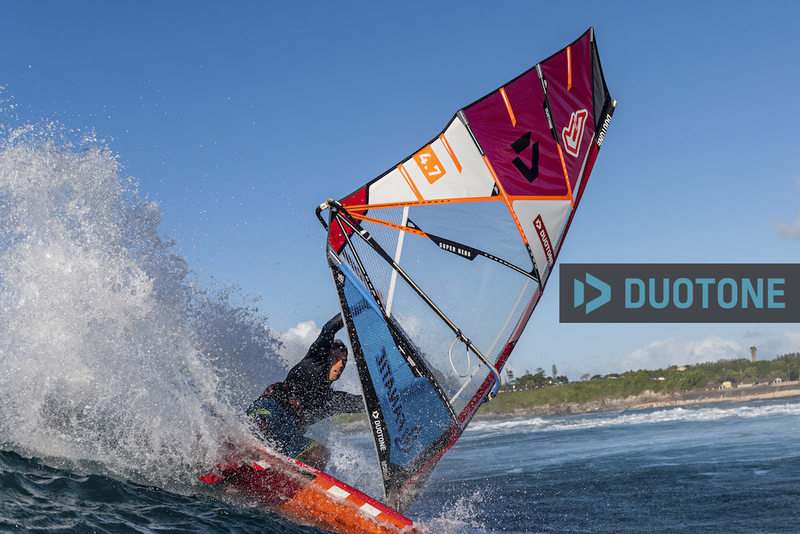 ───Will there be Duotone products for windsurfing, kiteboarding, surfing, or even wakeboarding? That is possible. However, our current focus is on windsurfing and kiteboarding. In specific terms, we’re likely to explore the foil sector. The major trend of foil surfing, i.e. in groundswell wave foils, is very exciting. ───What has happened now for you to give up North Sails Windsurfing after 38 years? ───Is the Boards & More Group getting a new owner? ───Will North Sails Windsurfing still be around? That I cannot say. We, as Boards & More, will no longer be running the North Sails Windsurfing brand after a transition period ends. ───So, you’ll be giving up North Sails Windsurfing. What does this mean for customers? If, for example, a customer bought a new North Sail in the spring? That is all taken care off. We, that is Boards & More, work with the dealer where the customer bought his sail and will continue our cooperation with the dealer. We absolutely guarantee any warranty claims in legal periods. Even Better yet, all customers who have registered their product are entitled for our warranty extension programs on top of the original warranty period. Additionally, we will also continue to be accommodating beyond that. As Boards & More, have a reputation for being reliable and we will continue to honor the service and warranty for any of the products we sell. And of course, as Boards & More, we also want to get our new Duotone brand up and running. We’ll do everything in our power to make our existing customers happy. ───With the new brand name, is it simply a case of relabelling your existing products and now selling them under the Duotone moniker? We’ll keep developing our products under the new brand, that’s for sure. All the engineering, the design of sails, masts, booms and extensions ── that’s all knowledge acquired by Boards & More over the years. All of the products were developed by our employees, all of the patents are ours and all of the product names belong to Boards & More. For example, we created the Super Hero and the Warp so there will still be a a Super Hero and a Warp available under Duotone, which will be identical in terms of performance, features and function to the Super Hero or the Warp of the past. We will also maintain our proven manufacturing setup to ensure that we are delivering the same superior quality to our customers. ───So, next year customers will still be able to buy a Power.XT, a Platinum Mast and Boom, or the iBase? ───All of your developers, team riders and international distributors will be staying with you? We asked the question to everyone beforehand：line manager Raoul Joa, sail designer Kai Hopf, hardware engineer Uli Bitterolf, all team riders, and everyone is on board. All of our developers and internal team have signed on for the next few years and are excited to see this come to life. Initially, many employees thought it was a joke ── that we couldn’t just create an entirely new brand. However, now that we are in doing it, it is obvious, that many new possibilities show up and our employees are more motivated than ever to leave their footprint. ───What new freedoms are you particularly excited about with your own Duotone brand? Sometimes a change can really inspire you. The Duotone brand belongs to us：we can shape it as we see fit. We’ll position Duotone where we think it best fits and where it might be cool for our customers. We have no connection to sailing anymore. Where you come from and what you stand for is the brand’s new outlook. We can also develop Duotone in new areas, such as foiling or clothing if we so desire. Or if we want to bring surfboards to the market, that’s something we can do too. Now it’s up to us what we want to pursue. ───Will the launch of Duotone affect the other brands of Boards & More Group, i.e. ION, Fanatic and Arrows? ───You own the ION brand from which ION Club is derived. 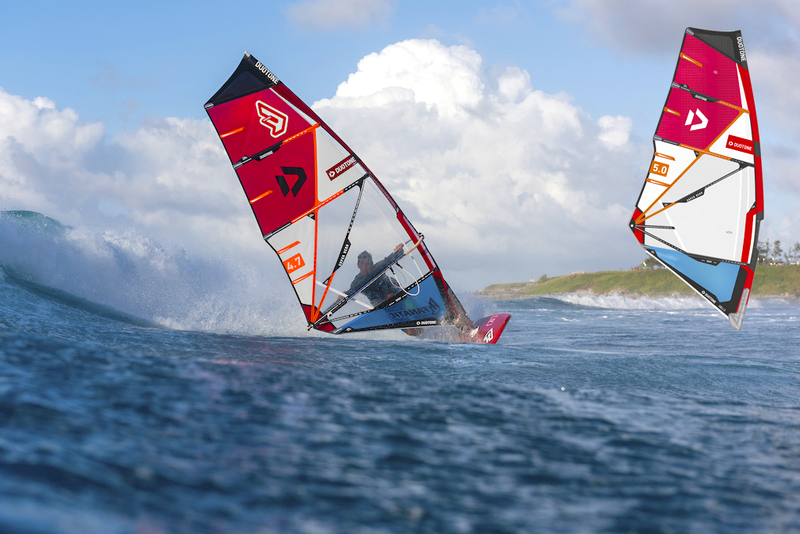 Why is the new brand not called ION Windsurfing? This is something that we discussed internally at length. However, we came to the conclusion that from a brand positioning perspective it is better to keep ION as an independent brand：even NeilPryde customers or Severne fans can identify with ION and purchase these products. Our principle, when we created ION was not to offer any hard goods under this name, rather to create a neutral brand, which specialises in accessories ── as a complement to ours as well as other hardware brands. For that reason, ION isn’t a perfect fit for our original idea of creating a new Windsurf brand. ───Duotone is not a new name. There was a snowboard brand from Boards & More with this name back in the 1990s. Why are you pulling this name out of the drawer again? There was plenty of heated debate about the name Duotone in some forums. We think it’s very exciting because it’s a very emotional name with many meanings and interpretations. In the last two years, our sails have had this duotone effect in terms of their colour scheme：that’s how we stumbled upon it. When we were looking for a name for the new brand, we chose Duotone as the internal project name. The longer we worked with it, the more we realised that this name was a really good match for the new brand. On top of that, this name was already registered worldwide by Boards & More. And we really liked the double meaning associated with the name Duotone：Wind and Water combined form a better unit, just like lightness and durability. This interaction between two factors crops up again and again in the creation of products. ───And the fact that the name was associated with snowboards from the 1990s – does that bother you? No, the 1990s was a long time ago and more importantly：Duotone was a very cool brand back then, high in quality and ahead of its time. That’s why we have few reservations. ───Would you describe this new venture, for you personally, as more of a burden or a liberation? I would say this is a massive opportunity. We’re bringing something new to the table, something which no one else is doing. I get this feeling of optimism again. It’s a challenge ── but very exciting, creatively speaking. I would put it like this：If you want to ride a big wave like Jaws and show zero respect to the challenge or consequence, then that’s not likely to have a positive outcome. A certain amount of respect is a good guide so we’ve worked diligently to develop a thorough plan of action and welcome the new possibilities. ───How do you plan to make the new Duotone brand known to the world? Windsurfing is a very tight community. World has gotten around already that the new Duotone brand is about to launch. But naturally enough, we’re also planning a thorough marketing push from our end to ensure that the brand launch is a great success, which will also largely benefit our sales partners. Additionally, Boards & More probably has the best international distribution system in the Wind-Water segment which we will to utilize to spread the world. 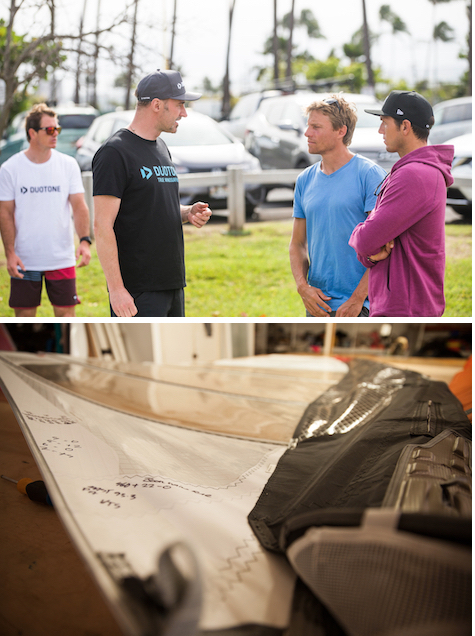 ───With the launch of Duotone, do you expect the price of second-hand North Sails Windsurfing products to plummet? I doubt it. Because a Super Hero is always a Super Hero and a Warp is always a Warp. The customer knows what he wants. From my experience, the specific model, the product name, is more important than the brand. ───When are the new Duotone Sails, Masts and Booms coming to market? The Duotone brand will be officially launched on 1st of August. We will have the new Super Hero, Super Session, Idol LTD and E_Type available at this time together with 80% of the hardware products （Masts, Booms, Extensions）. Warp, S_Type and the rest of the hardware products will follow one month later.